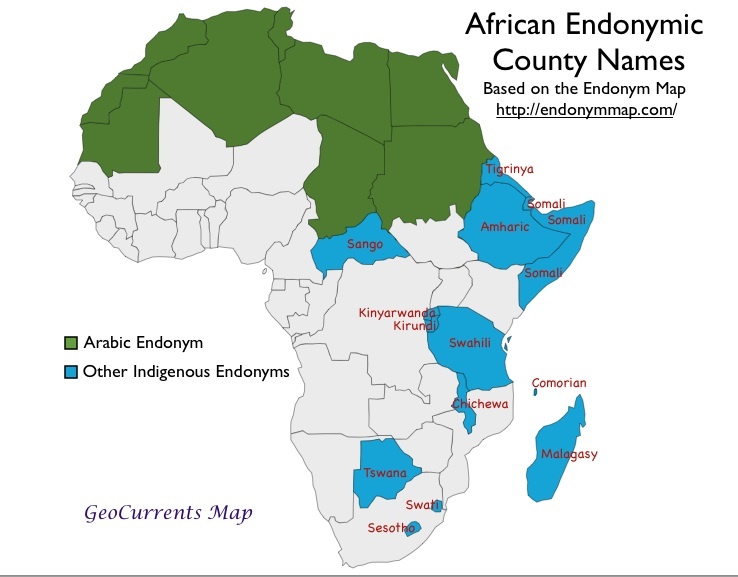 After the recent GeoCurrents post on country names, Asya Pereltsvaig brought my attention to an interesting website called Endonym Map. The site features a single world map that shows the names of countries and dependent territories in their own official or national languages, as expressed in the script used for those languages. 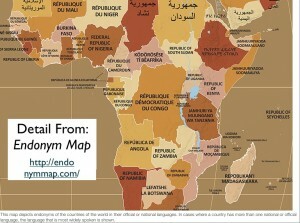 (A detail of the Endonym Map, showing most of Africa, is reproduced here.) A table below the map provides the official name of each state in English, as well as the English names of the languages in which country names are expressed. 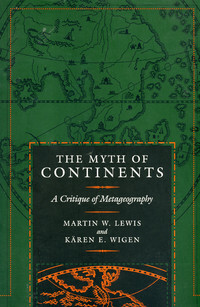 Although the site is elegantly constructed, the map and the table do not always correspond. The table, for example, lists the language used for Djibouti as Arabic, but on the map the label attached to the country is in Somali (Jamhuuriyadda Jabuuti). This mix-up is not surprising; Arabic is Djibouti’s official language (along with French), whereas Somali is its “recognized national language” (along with Afar). By the criterion used by the Endonym Map, Somali would be the correct choice; the site specifies that “in cases where a country has more than one national or official language, the language that is most widely spoken is shown.” As it happens, Somali is much more widely spoken in Djibouti than Arabic. But specifics aside, the point is that political-linguistic complexity makes the identification of endonyms surprisingly tricky. 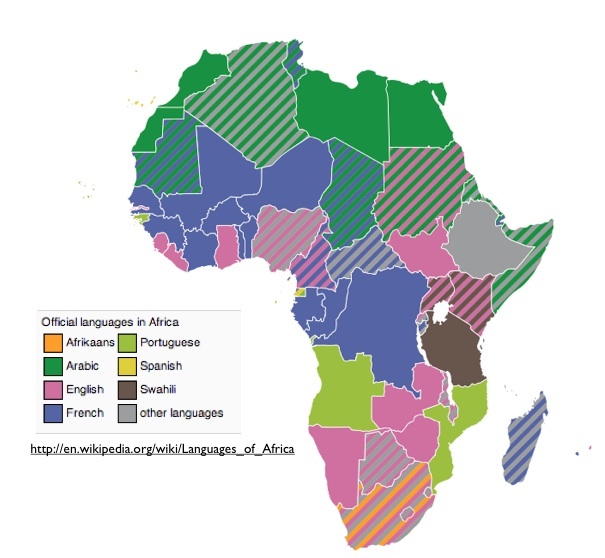 Multiple official languages are common in Africa, as the Wikipedia map posted here shows. South Africa has elevated no less than eleven languages to official status. 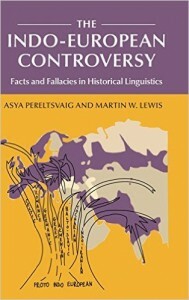 When “national” languages are added to the mix, the situation becomes even more complex, partly because the concept of a national language is ambiguous. Narrowly defined, the term refers to the language spoken by the majority of the people within a nation. But since most sub-Saharan African countries have no majority language, such a definition is of little use in this part of the world. Broader definitions, such as that suggested by the Wikipedia, are unhelpful for the opposite reason; it is difficult to imagine what language would not qualify as having “some connection—de facto or de jure—with a people and perhaps by extension the territory they occupy.” The definition of “national language” used by the Endonym Map is unspecified, but it seems to rely on official recognition. 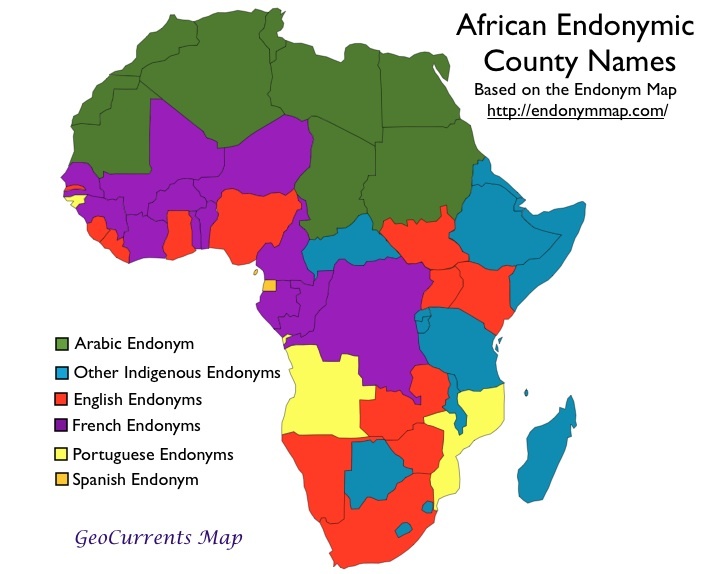 The most intriguing pattern revealed by the Endonym Map is the widespread use of non-European tongues as the dominant official (or national) languages of sub-Saharan African countries. 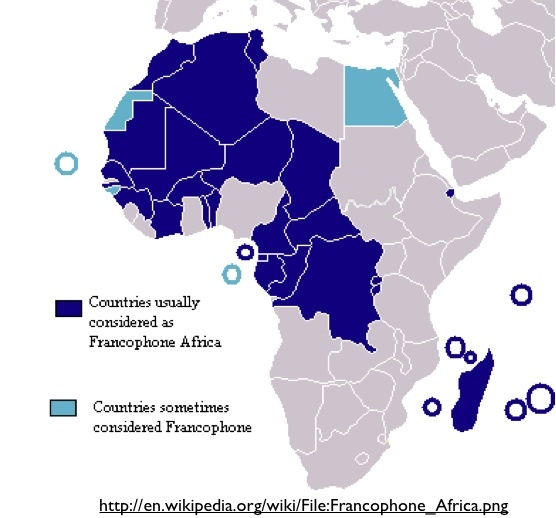 Chad, for example, is conventionally depicted as a Francophone country, and French is indeed one of its two official languages. But Arabic also has official status in Chad, and the Chadian dialect of Arabic has emerged as the country’s lingua franca, spoken by forty to sixty percent of its people. Elsewhere, a number of indigenous languages of sub-Saharan African origin are gaining prestige and have acquired official status. 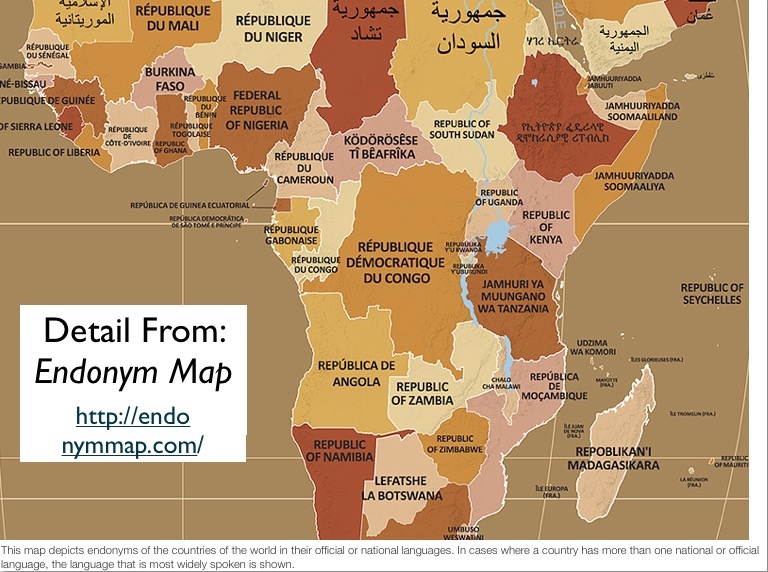 As the map shows, local languages function as the dominant official means of communication across much of eastern and southern Africa. One of the more intriguing examples of an indigenous official African language comes from the Central African Republic (CAR). Like neighboring Chad, CAR is usually regarded as a Francophone country, and French is indeed one of its official languages. Yet far more people in the country speak Sango, which also has official status. Over the past several decades, Sango has been spreading rapidly, emerging as the country’s effective lingua franca. 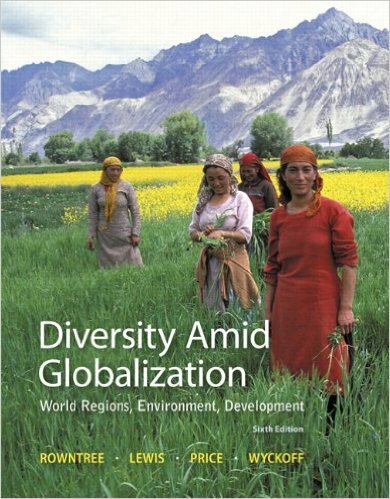 * The expansion of Sango has been documented by Mark Karan, who shows that it is also spreading into neighboring countries. Although Sango is clearly an indigenous language, it has been heavily influenced by French. In fact, most of Sango’s vocabulary is of French derivation, although the most commonly used words, as well as the basic grammatical patterns, are fully indigenous. Most linguists classify Sango as a creole language, or one that “developed from the mixing of parent languages.” Evidently, Sango emerged as a vehicle of inter-ethnic communication along the Ubangi River before the initiation of French colonialism. Its use was later promoted by both the French colonial army and Christian missionaries, and it gained many French words in the process. 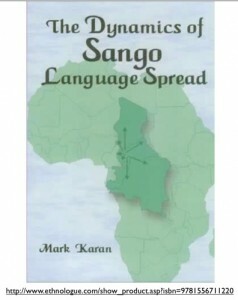 As a result of such patronage, Sango became the dominant language of the capital city Bangui, enhancing its appeal. The use of a creole language as a dominant official (or national) language is relatively rare. As it happens, another website is devoted to precisely this issue: Peter L. Patrick’s Pidgins & Creoles as National or Official Languages. Patrick lists nine cases: Cape Verde, Central African Republic (CAR), Haiti, Mauritius, Papua New Guinea, Sierra Leone, São Tomé and Príncipe, Seychelles, and Vanuatu. 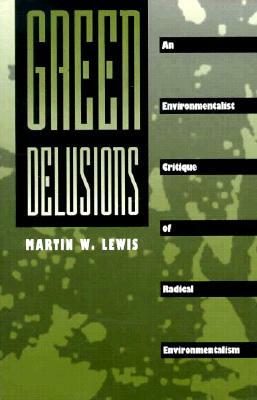 With the exception of CAR and Sierra Leone, all are island countries. Of the official creole languages of these countries, all but Sango of CAR are based on European tongues. Although Patrick lists Sierra Leone as using a creole language (Krio) as its main national language, the Endonym Map depicts the country in English. This discrepancy stems from the fact that Krio is merely the de facto national language of the country, rather than one that has been given official standing as such. According to the Wikipedia, “Krio is spoken by 97% of Sierra Leone’s population and unites the different ethnic groups in the country, especially in their trade and social interaction with each other.” It is also used in some public schools in the country, and has evidently even been recognized as a “home language” by the New York public school system. Eventually, Krio will probably gain some sort of official standing, requiring a change to the Endonym Map.